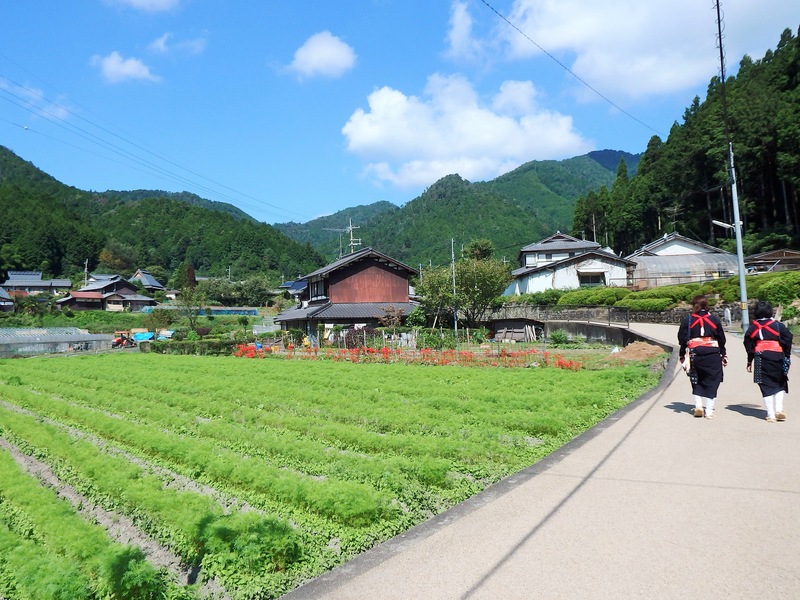 Ohara is ‘countryside’ Kyoto – impressive temples, tasty cuisine, and interesting souvenir shops set among rice fields and the forest of a small village about an hour’s bus ride from Kyoto Station. 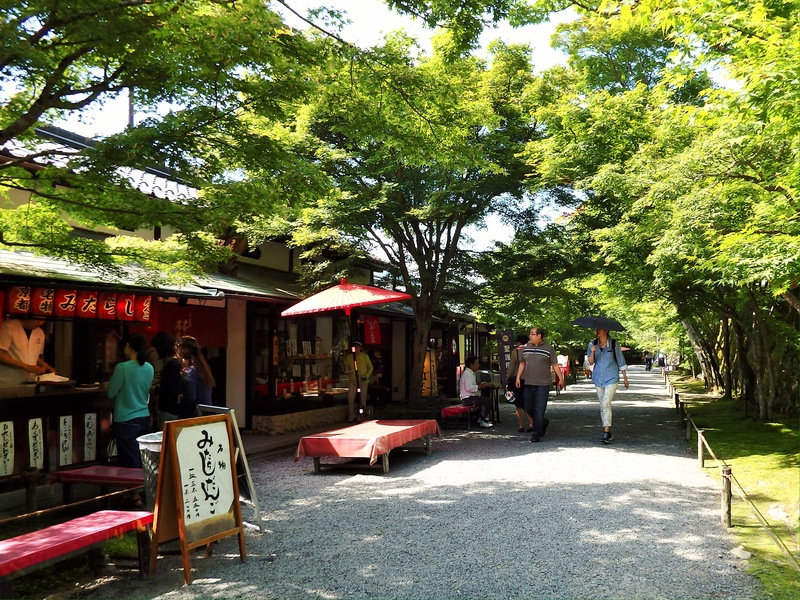 For visitors who want to see a different Kyoto, Ohara is a great day or overnight trip from the city center. Ohara is split into two sections, each on opposite sides of Route 367. Traveling from Kyoto, Ohara’s main area is up a gentle slope on the right. Start exploring here unless it seems overly crowded. In that case, explore the section on the left first instead (almost everyone heads to the right upon arrival). Walk up the narrow sloping street lined with shops and restaurants on one side and a shallow stream on the other. The stone Sakanayamabashi (bridge) marks Ohara’s ‘heart’. 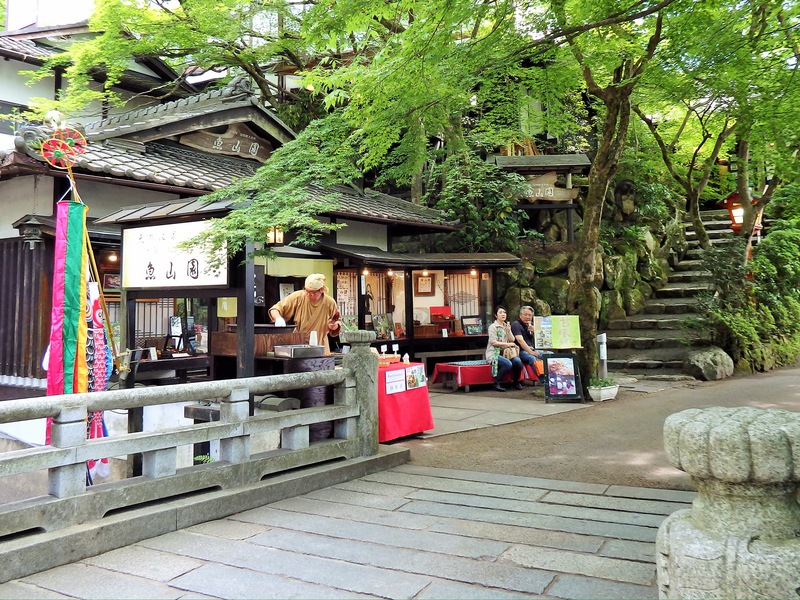 Continue straight to visit Raigo-in Temple or to hike to Otonashi-no-taki. To the right is Gyozanen, the restaurant and inn in the photo above. Further along the street is a Japanese sweets cafe, Genjirushi, and a Western-style coffee shop, Irori. Turn left to visit Ohara’s main temples, Sanzen-in, Shorin-in, Hosen-in, and Jikko-in. 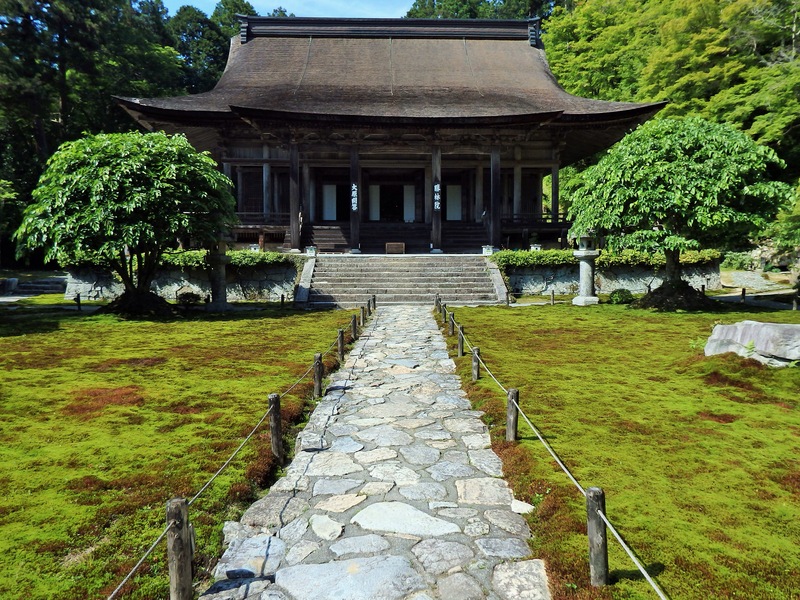 Sanzen-in is Ohara’s most famous temple, dating back to the late 8th century. The grounds are extensive and include two lovely gardens. One of them, Yusei-en, is carpeted in moss and is especially beautiful during cherry blossom season, when hydrangeas bloom, and in autumn. 700 yen. 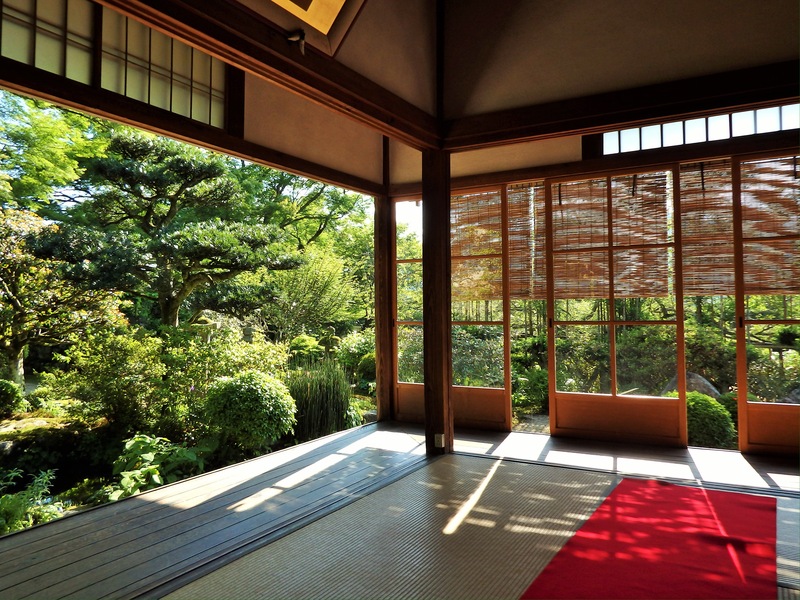 Since the main hall and garden of Shorin-in can be seen from its gate, most do not pay the 300 yen entrance fee. There is an impressive gold statue of Amida Buddha inside the main hall, and the grounds are always tranquil. Built in 1012, Hosen-in‘s entrance fee includes tea and a Japanese sweet. 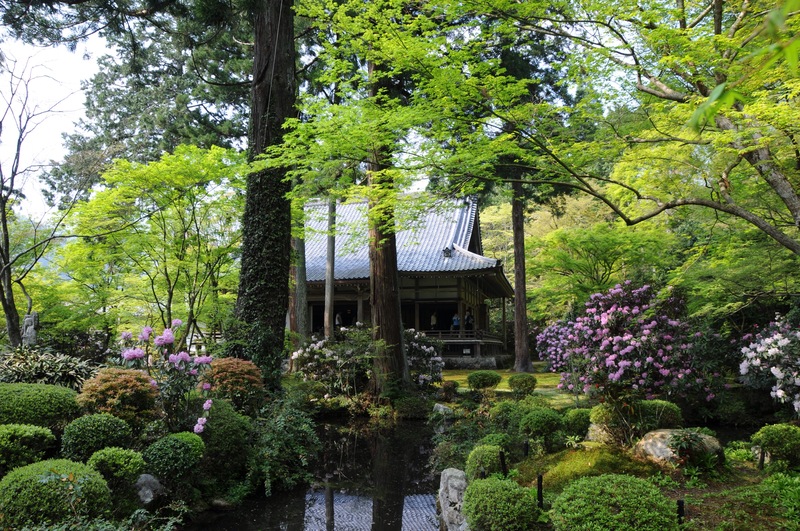 Relax on the tatami mats and admire the temple’s garden, Bankan-en. 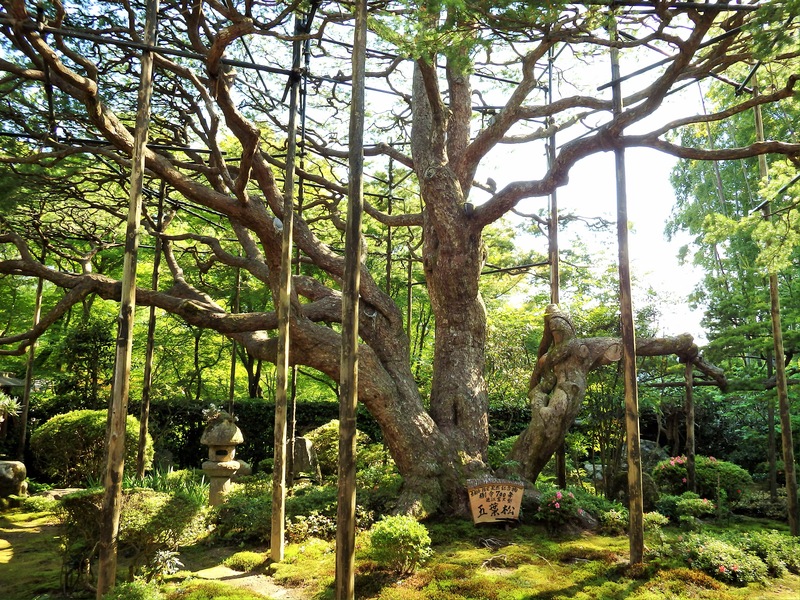 Its focal point is a majestic 700 year old Japanese pine tree. Wooden floor boards, stained with the blood of samurai who lost the battle of Fushima Castle, are now the ceilings of Hosen-in’s outer corridors. 800 yen. Jikko-in is another small, quiet temple where visitors can enjoy tea and a sweet while viewing a couple of lovely gardens. One contains a rare species of cherry tree, fundanzakura, which bloom from early fall until spring. 500 yen (700 with a tea & sweet). Within Raigo-in’s extensive compound, visitors wander trails that cut across streams and through the forest. The garden of the main hall is especially beautiful in azelea season. 400 yen. If you’d like to take a little hike through the woods, ten minutes down a trail behind Raigo-in is Otonashi-taki, a 4 meter high waterfall. Back near the stone bridge are souvenir shops that serve simple Japanese lunches. 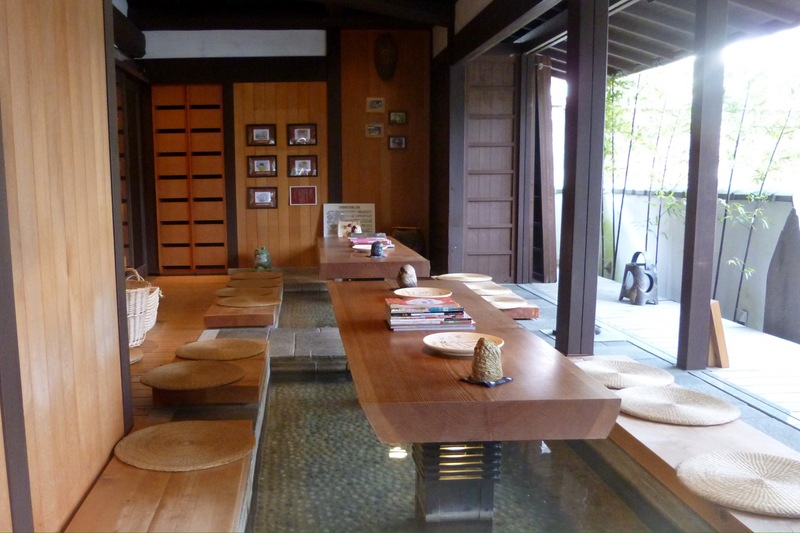 There are also a couple of ryokan here that offer more elaborate meals. Down the sloping street is my top recommendation for a delicious meal, Shino Shoumon. Cross Route 367 to explore the quieter side of Ohara. 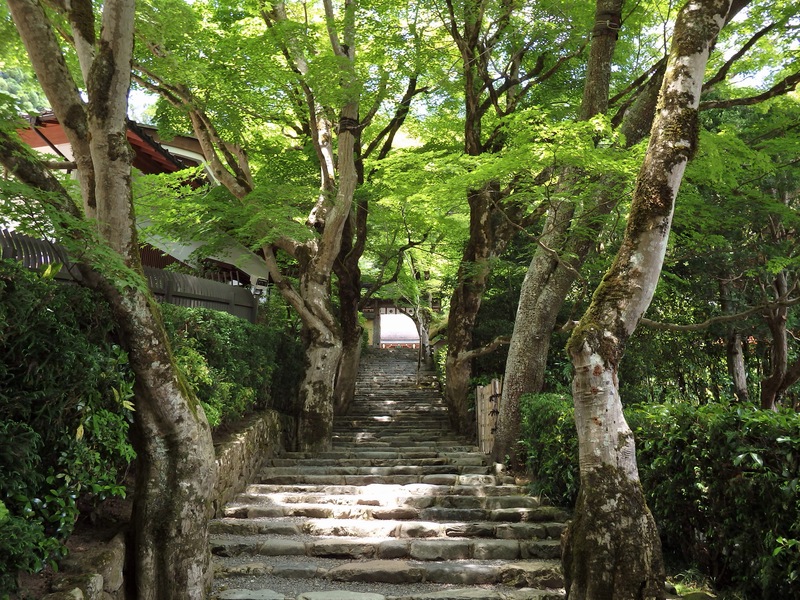 Make your way to & from its main sightseeing spot, Jakko-in. The walk meanders by private homes, fields, small Japanese inns, and unique cafes. If you are fortunate you may spot some ‘Oharame’ like these – female peddlers who used to carry flowers or firewood on their heads to sell in the streets of Kyoto. 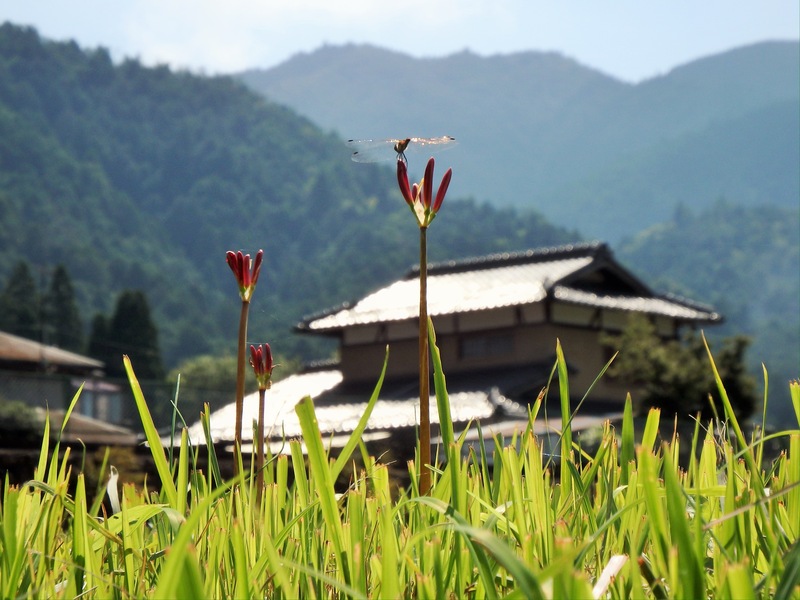 Minshuku (family-run inns) in this area offer simple accommodations. A couple of the inns allow day visits to their hot spring baths. 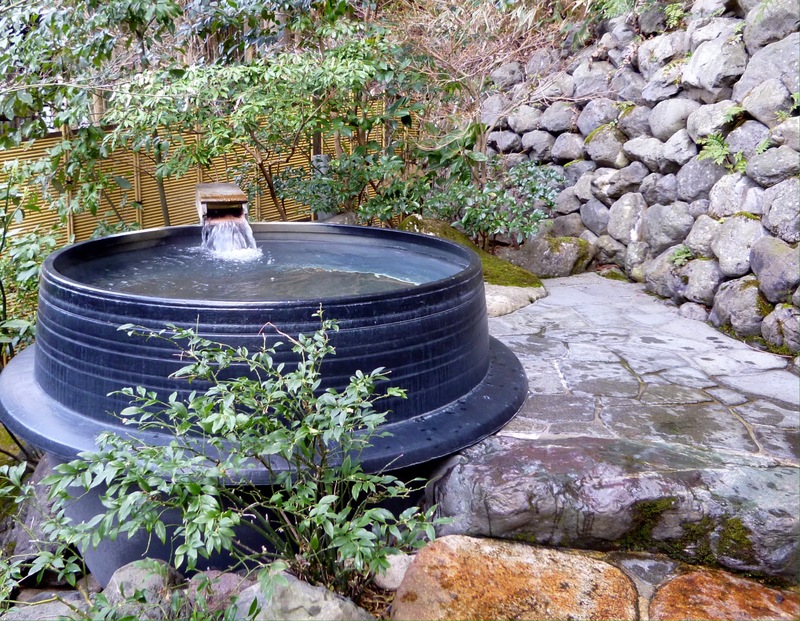 This is an outdoor bath, or rotemburo, at Ohara-no-sato. 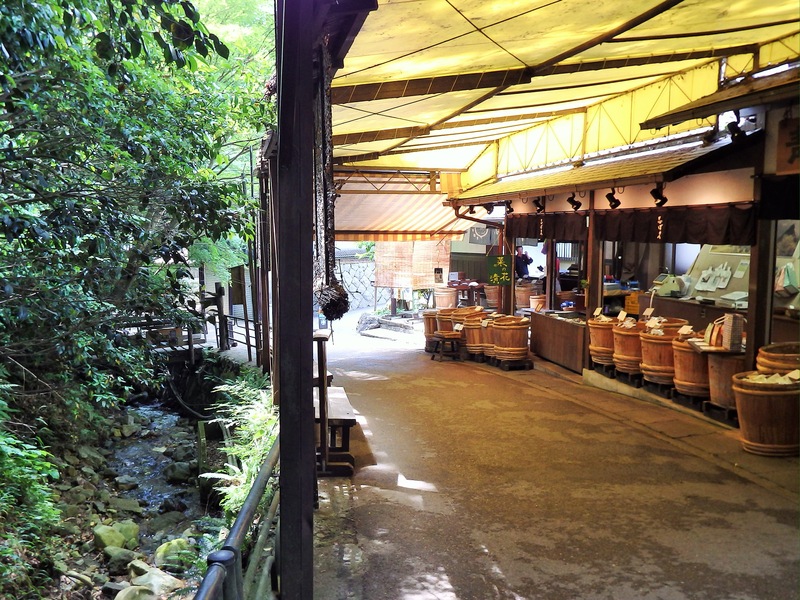 The minshuku, Ohara Sansou, has a cafe on its grounds where you can enjoy an onsen foot bath while sipping coffee, tea, or a beer. The connecting store has a lovely display of pottery. 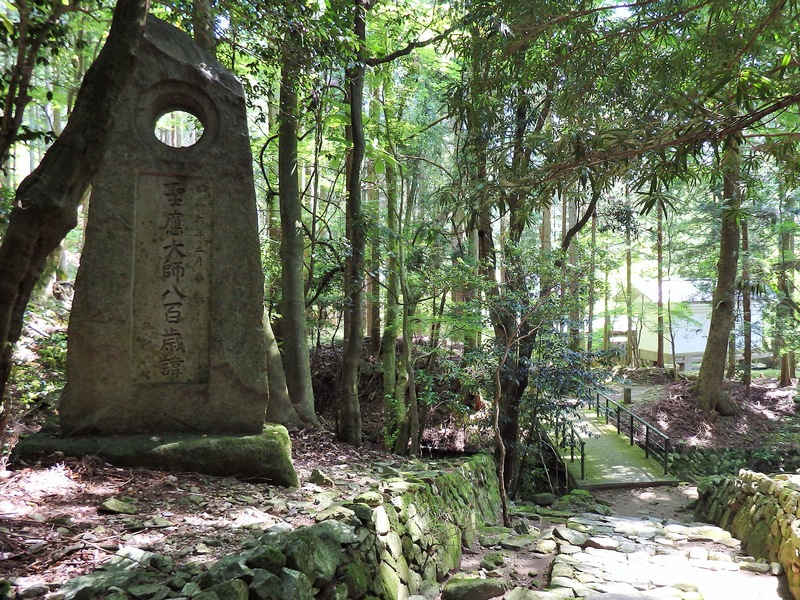 Jakko-in, the ‘Solitary Light’ nunnery, is located at the top of a stone staircase and the grounds are surrounded by forest. It is said to have been founded by Prince Shotoku in 594 in honor of his father, Emperor Yomei. Access: Buses depart from Kyoto Station via Shijo-Kawaramachi, Keihan Sanjo Station and Demachiyanagi Station. Buses also depart from Kokusai Subway Station and Kitaoji Bus Terminal. Ohara is the terminus – head back to central Kyoto from the same location you are dropped off.